Shillelagh [shill-LAY-lee] is such a neat cross of old and new from the Iron-Rod lines. 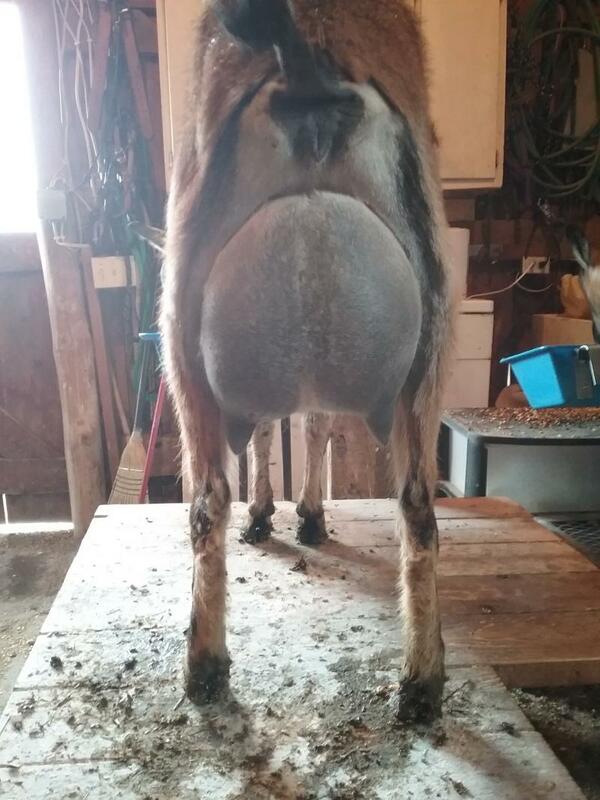 She is incredibly smooth, and her dam's udder is just stellar. She is well-loved here, though a bit of an attention hound. 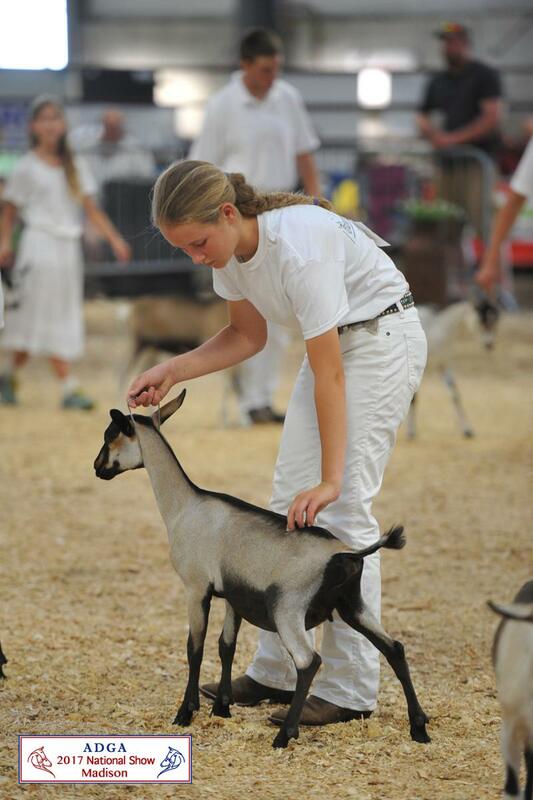 She placed 7rd in the Junior Kid class at the 2017 ADGA National Show. Breeding Plans: CH *B L&S Alpines Tigres Trumpcard for French kids in 2019. Mimi has been level from the start, and is one of the tallest kids from 2018. We are looking forward to seeing her freshen. Breeding Plans: *B Dawnwind Ideally Jocular for March 2019 kids. Photos of Mimi's parents: Iron-Rod IRS Shyne On (yearling) and SGCH Dawnwind Magnifique Medesima (9 years). 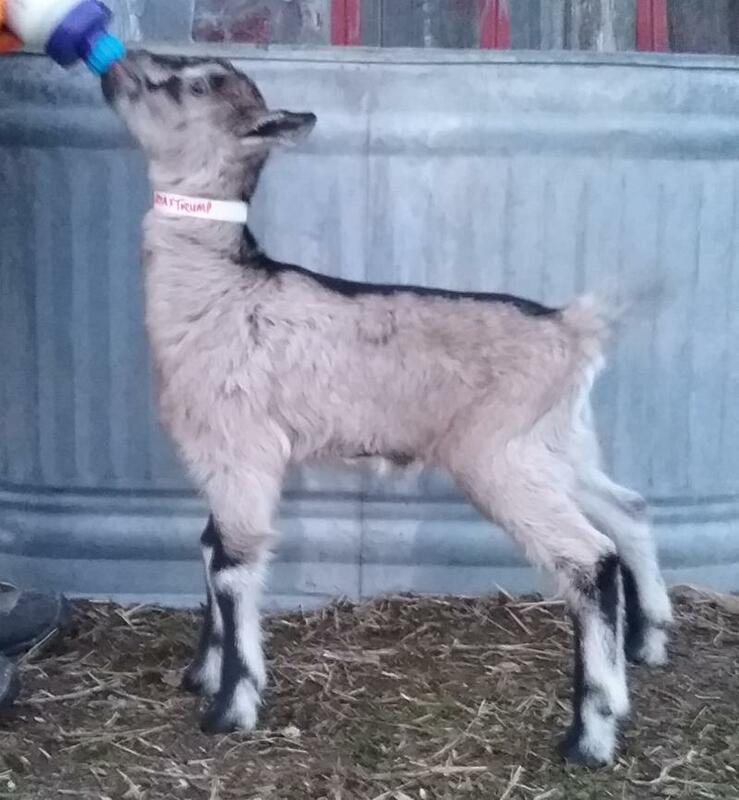 With this crop of kids, Shyne has demonstrated that the long, strong, level toplines and rumps are definitely a trademark. 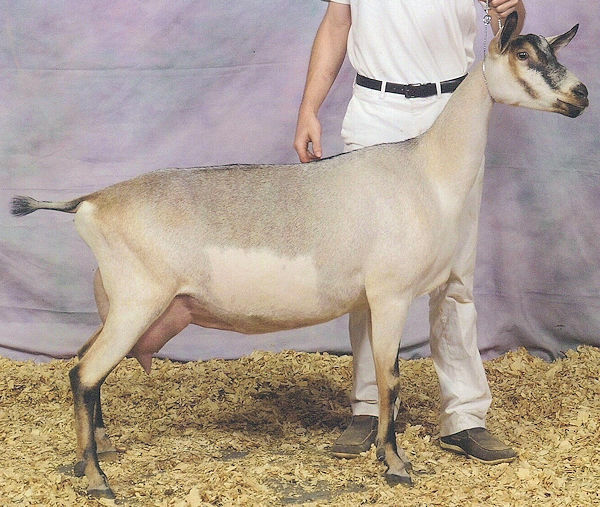 Like Mimi (above), this doe has been eye-catching in her extreme levelness and dairyness since day one. Breeding Plans: Dry for 2019. Below: Lyrix's parents: Iron-Rod SHM Show Some Leg 1*M (2 years), and Iron-Rod IRS Shyne On (yearling). Merry is tremendously sweet and easy to handle. She has a beautiful topline on the move, and her legs are set correctly beneath her. Photos of Merry's parents: *B Dawnwind Lincoln Bonhomie (yearling) and Dawnwind Mahogany Melvyna (1 year). 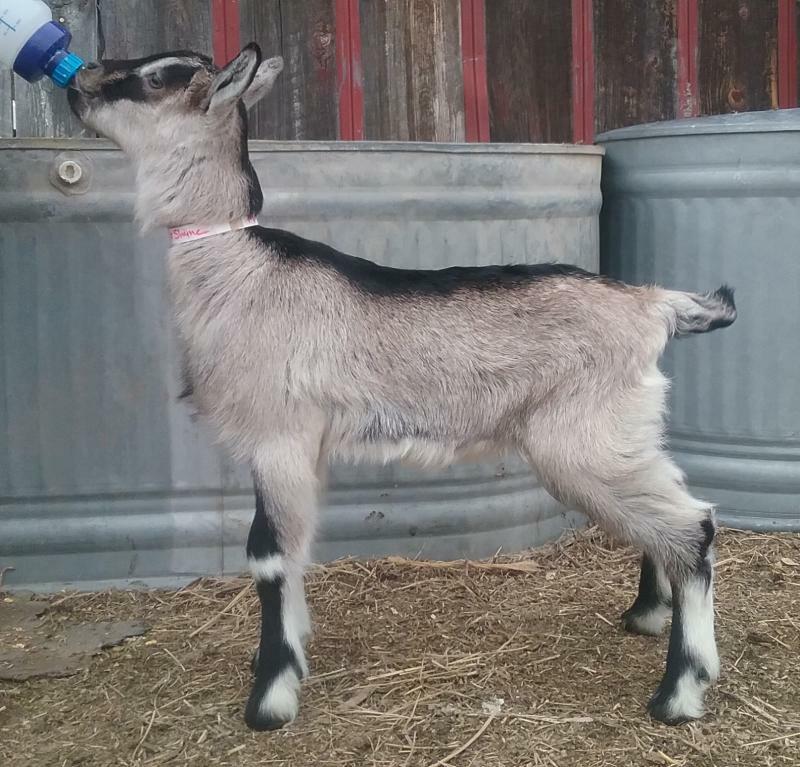 Sashay was one of quadruplets from this breeding, and she has grown surprisingly well for being smaller at birth. 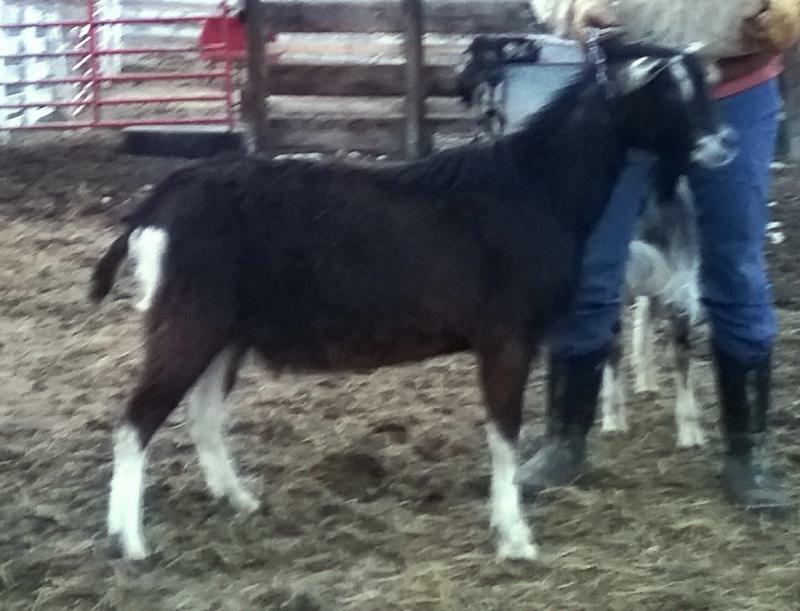 She has retained the level topline shown in this picture, as well as the beautiful set to her rear legs. 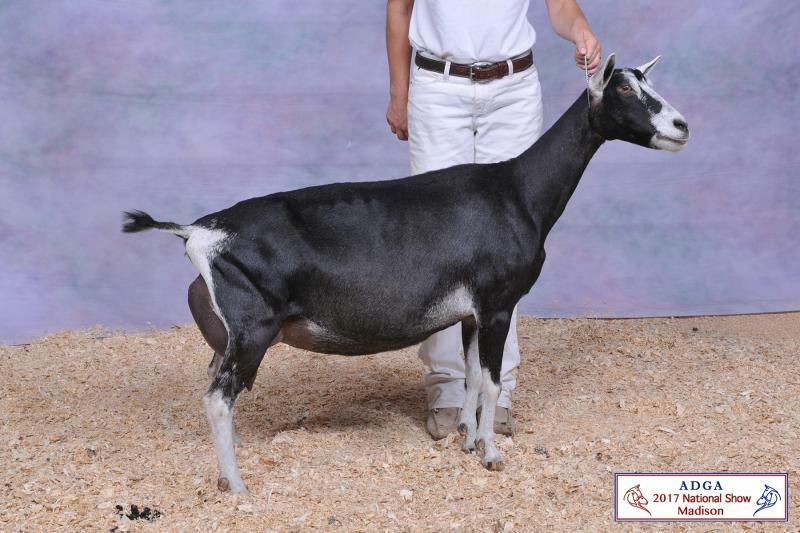 Breeding Plan: Sashay will be bred to Iron-Rod IRS Shyne On for 2019 kids. Below: Sashay's parents: Dawnwind Singed Sairtia 2*M (2 years), and CH *B L & S Alpines Tigres Trumpcard (2 years). Photos: Bertina's parents: CH *B Chateau Briant's Bon Idee (age 3) and L&S Alpines Belize (2 years). Jules was our latest kid in 2018, and we are very pleased with her, but allowing her to grow in 2019. Photos of Jules's parents: Iron-Rod IRS Shyne On (yearling) and Dawnwind Mahogany Jetski (2 years).